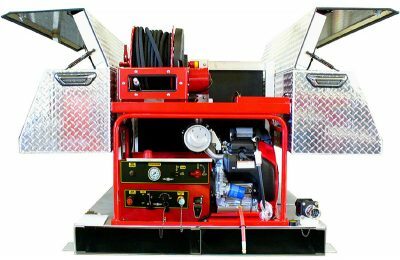 Custom Fire Trucks, built to your specifications. 8 GPM @ 2800 PSI Ultra High Pressure, Gasoline Powered. E.J. Metals © 2019. All Rights Reserved.